The colour purple is said to express creativity, passion and joy, not to mention a hint of luxury. 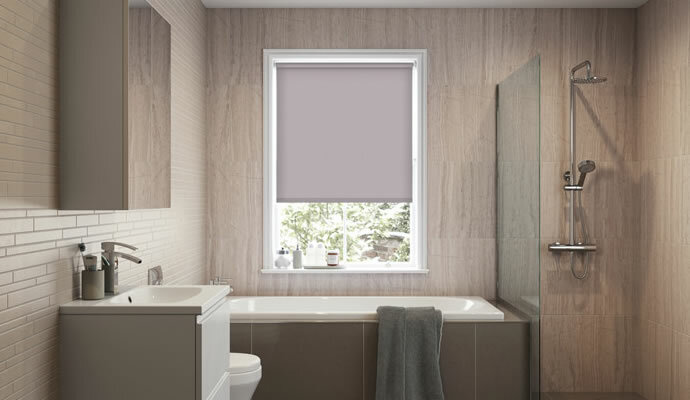 So if you choose purple blinds for the rooms in your home you’ll be making quite a statement. Purple is a very versatile shade, with lighter mauves being perfect for bedrooms and richer shades suiting spaces like dining rooms and living rooms that are often used after dark. 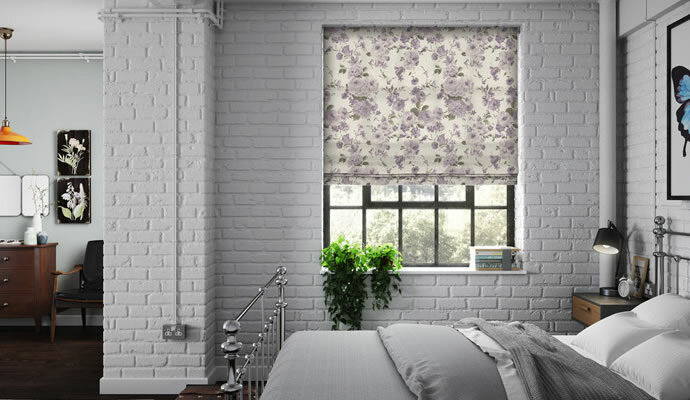 Many of our purple blinds also feature patterns or designs with effects that range from the subtle to the striking – offering the perfect range to choose from if you want to really make the most of this very impactful colour. 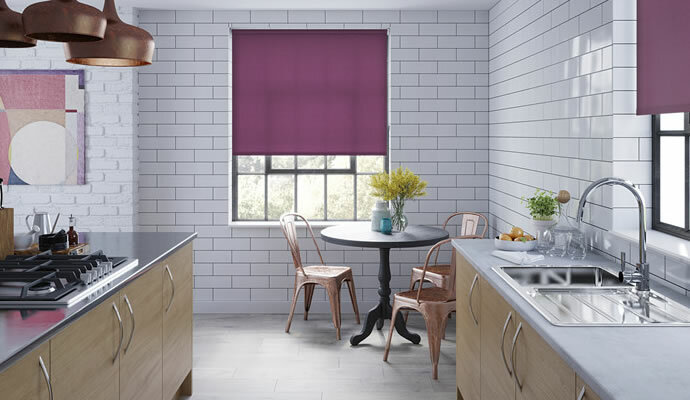 From adding a touch of opulence to a kitchen blind to looking amazing in a minimally-furnished living room, purple really is a great choice of colour for roller blinds. In Roman times purple was an imperial colour. Choose it for your blinds and it’s also certain to add more than a hint of majesty. 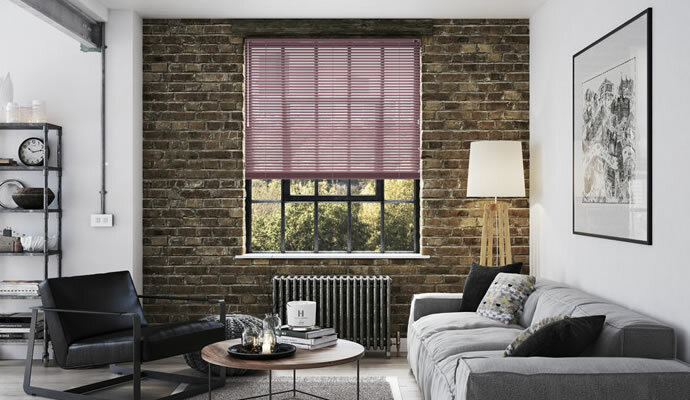 From light violet to rich burgundy, choosing your particular purple adds an extra modern feel to the already contemporary and stylish Venetian blind. 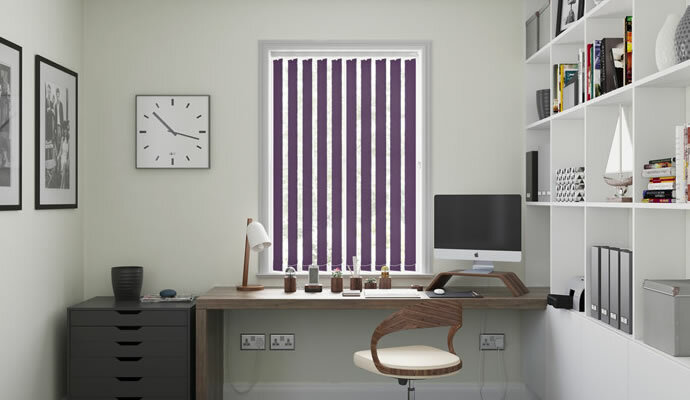 Choosing vertical blinds in purple can make a real feature out of a window, and the bigger the window, the greater the visual impact. The ideal choice for a bedroom that you need to keep dark at night without having to compromise on the style, look and feel of your blinds. 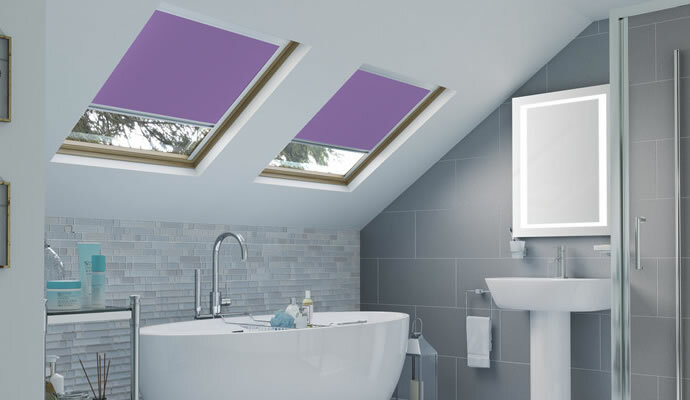 When the night sky outside is a rich and deep blue, the purple colour of the skylight blind can reflect this - or even be a much lighter shade.